This is a guest post from one of our members who offered to write this for us. How do you feel about your website? Do you find yourself sharing the link and then caveating that with: “Oh, don’t look at the home page – I need to update it”? Or, “I know I need to improve it, but I haven’t had the chance yet”? I did. In fact, forget that. For the first few months after creating my website, I didn’t even tell anyone it even existed! I didn’t have a countdown or do a big launch. I did nothing. In fact, I secretly hoped no one stumbled upon it (by accident) and realised I didn’t know what I was doing! But then I joined the Make Your Mark Online membership, and things have been quite different since. 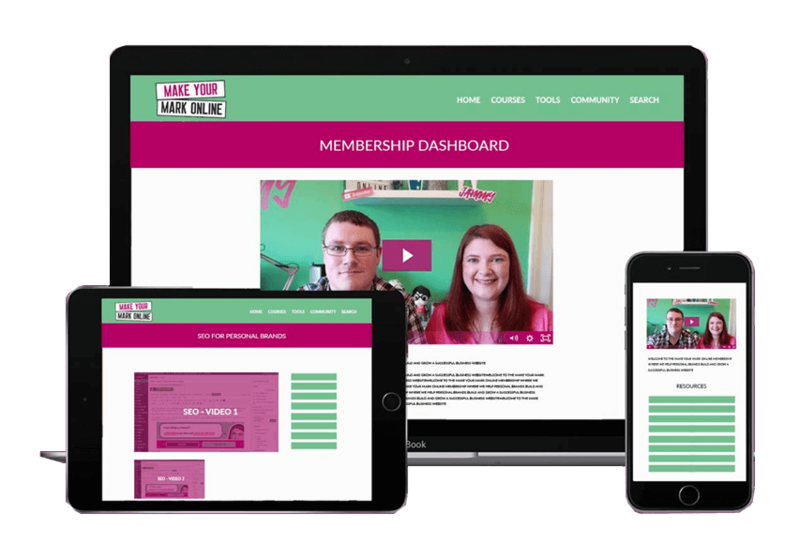 Before I found Martin and Lyndsay and their free Facebook community, I had literally spent months online, looking for a suitable WordPress theme and researching hosting solutions. Once I got that all sorted, I spent weeks making changes to the template – thinking on my feet about what went where and how I’d word it all. I really struggled to define my offers, design my website, and write my own copy all at the same time. The result? I ended up feeling overwhelmed and stupid. I was clearly stumbling in the dark here – blatantly making it up as I went along. And I honestly had no idea whether any of what I’d done was any good. So I continued to keep my website well under wraps. Until one day LinkedIn decided to inform me that Martin, who I’d come across in another membership, had officially joined forces with the other half of the Jammy Digital team, his wife Lyndsay. And they were offering free website critiques. (I mean, how cool is that?!). Terrified, I decided it was either this or nothing. This was my chance. I knew I wouldn’t get it back, so I jumped at the opportunity and put my half-baked website up for review. (Through gritted teeth and with one eye closed, obvs). My website critique went much better than I had expected, but the mindblowing thing for me was that within 10 minutes, both Martin and Lyndsay had given me some great, actionable advice. About things I wouldn’t have known I needed to change. Things I didn’t even know were things. Did you know it’s best to have all your menu items in one line? Did you know you’ve got to really think carefully about what goes ‘above the fold’? Actually, wait, did you know what ‘above the fold’ even means?! ‘Cos I certainly didn’t! In the months that followed, Martin and Lyndsay continued turning up, week in and week out, offering people free website critiques. And I started to notice a theme – they were really quick to pinpoint where a website needed improvement. They knew their stuff. And they weren’t just talking about design or copy – they were giving out tips on branding, positioning, user experience, photography. You name it. And the penny dropped – I realised my website could do a lot more for me. So when the doors to the membership opened, I knew I wanted to join. It was really that easy. Could I really afford another membership? Would I make use of it? Would I get a return on my investment? And do you know what convinced me? 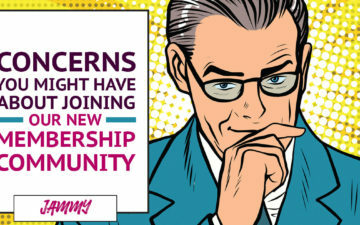 This blog post: Concerns you might have about joining our membership. It didn’t just totally hit the mark with me. It also proved (once again) that Martin and Lyndsay know what they’re doing. Joining really was a no-brainer. And I know made the right choice! The membership has really exceeded my expectations, not just in terms of quality and content. Martin and Lyndsay genuinely care about you and the success of your business. They always go the extra mile to help and add value. So here’s what I’ve done since joining the MYMO membership. I got clearer on the products and services I sell and re-structured, re-designed, and re-wrote most of my web pages. 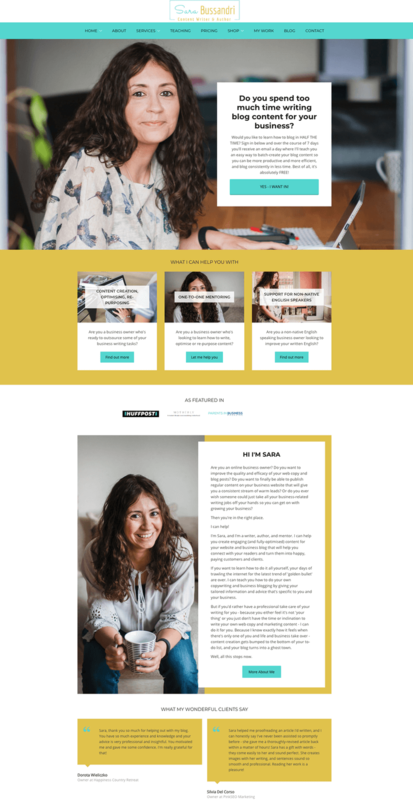 I created a pricing table as a direct result of Martin and Lyndsay’s advice, which allowed me to remove a huge amount of text from my website and improve the user experience. I recorded and shared a video a day inside the community – something I’d been carefully avoiding for years! The best thing? I’ve had fun in the process! As Martin and Lyndsay always say, “your website is never finished.” (Can you believe theirs isn’t either?). For me, this is just the beginning. I’m excited at the thought of how much better my website will look a year from now. And I’m confident that as my business develops and grows, with Martin and Lyndsay and all the MYMO members on my side, my website will too. I’m definitely a proud member of this community (and don’t tell these guys), but I won’t be going anywhere for a very long time! Now, before Martin and Lyndsay think I’ve turned into a right ol’ stalker, let me leave you with just one thought. If you have a website you’re not happy with, if the thought of making tweaks to it makes you want to run the other way, or if you ever feel like you don’t know what you’re doing when it comes to your website but you’re not ready to hire a web designer yet, you’re going to get a huge amount of help and support inside this membership. Being a personal brand entrepreneur can be hard at times – there’s only one of you, and you can’t possibly be an expert at everything! Joining the MYMO membership allows you to directly tap into Martin and Lyndsay’s knowledge and expertise – and all the other members’ too! Plus, it’s a fun place to be, and I honestly think that Martin and Lyndsay are some of the most genuine and caring people you’ll find online. They’re real, relatable people who care about the success of their clients. 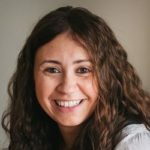 Sara Bussandri is a Digital Content Writer and non-fiction author who specialises in helping small business owners with blogging and re-purposing podcast episodes into standalone blog posts. She’s a mum of three boys who works around school runs, laundry loads, and football matches. 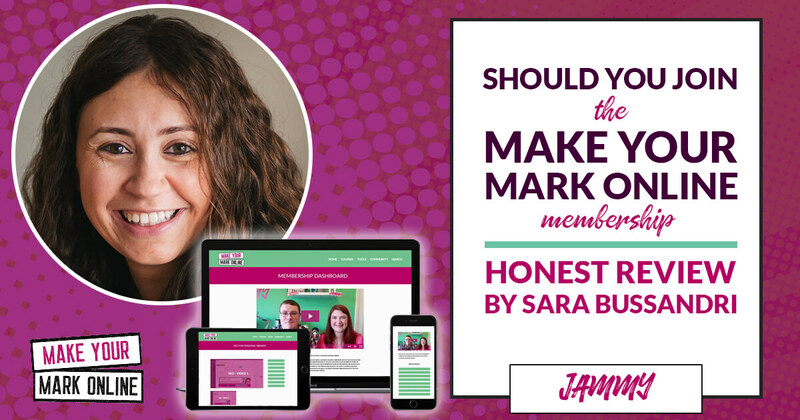 You can find out more about Sara on her website, or connect with her on LinkedIn, Instagram, Facebook, or Twitter.